To submit your votes, send an email to webmaster@southerntrout.com. Vote for up to 6 candidates listed below. For more information contact Don Kirk at don@southerntrout.com or call 205-368-1846. The juggernaut and visionary behind the creation of the Fly Fishing Museum of Southern Appalachian. Baker has devoted much of his life to the sport in the region. He continues to make the Museum a high profile success. Founder of one of the oldest fly shops in the South, Begley has researched the fly patterns and tiers of the regions. Among his many accomplishments is the “Fly Tyers Weekend” held annually in Townsend, Tennessee. Living in North Carolina, fly fisherman and author of many articles, Jim Casada has written important books on fly fishing the Great Smoky Mountains National Park. Living in North Carolina, fly fisherman Howell is his state’s leading advocate for quality trout fishing as well as a world champion fly fisherman. 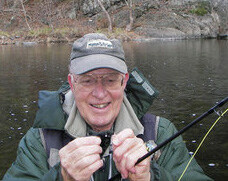 North Carolina native Lowe is considered the most knowledgeable living authority on Southern Appalachian trout fly patterns. 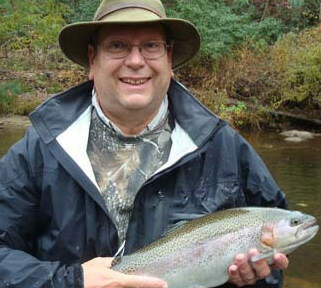 Living in Tennessee, fly fisherman Babb is known for his knowledge of traditional patterns and making bamboo fly rods.